Sauchiehall St. / West Nile St. 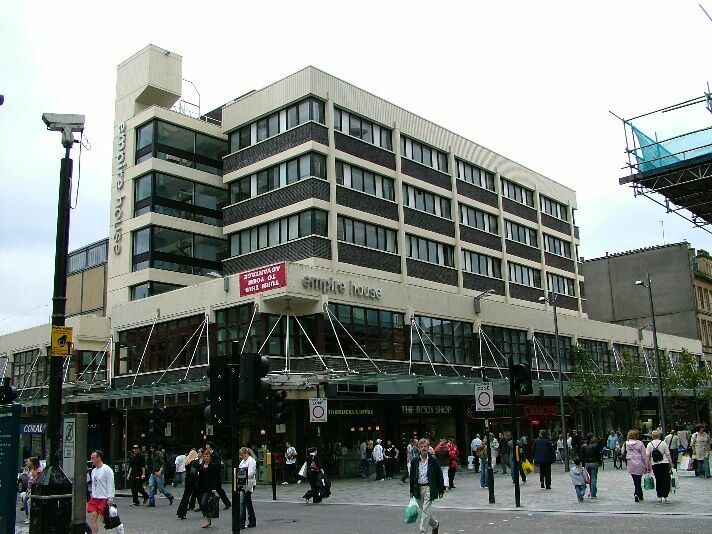 The magnificent and infamous Empire Theatre. Built on the site of the old Gaiety Theatre (1874-1895), itself a conversion of a Choral Hall. 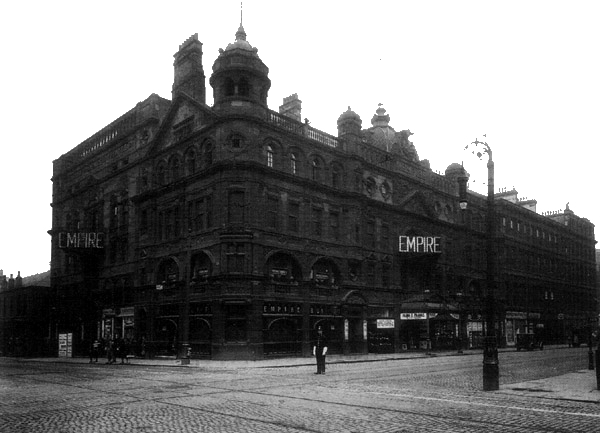 The Empire Palace, as it was originally known, opened in 1897 as a follow up to the Moss Empire in Edinburgh (now the Edinburgh Festival Theatre). Designed, like the King's, by Frank Matcham, his opulent interior was swept away in a 1931 enlargement and rebuild which saw the assimilation of adjacent warehouses, hence the rather clumsy looking exterior seen above. The new theatre sat 2,100 and was popular right up to its demise in 1963, in a farewell show that saw Albert Finney literally demolishing the stage with a sledgehammer!